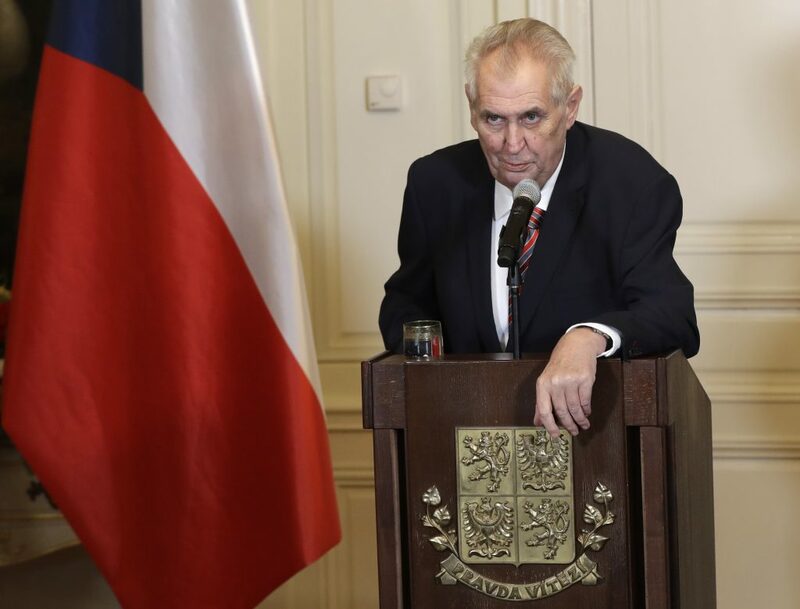 Czech President Milos Zeman blasted his European counterparts for their condemnations of U.S. President Donald Trump’s recognition of Yerhushalayim as the capital of Israel, accusing the international community of cowardice in regards to the Middle East. “The European Union, cowards, are doing all they can so a pro-Palestinian terrorist movement can have supremacy over a pro-Israeli movement,” Zeman told the rightwing Freedom and Direct Democracy Party, according to the AFP. Zeman had previously called for the embassies in Tel Aviv to be moved to Yerushalayim. “I proposed this removal four years ago during my visit to Israel. Prime Minister Netanyahu told me, if so, I will give you my own house. I hope his promise is still valid,” Zeman. “Anyway, now after the same promise of Donald Trump in the election campaign I think it might be a good hint and this hint might be followed by some courageous countries, not all countries, but courageous countries. This is a concrete step toward real solidarity [with Israel] and not solidarity by words only” he said in September. Science and Technology Minister Ofir Akunis called the Czech Ambassador in Israel on Sunday to thank him for his country’s decision to recognize western Yerushalayim as part of Israel’s capital, more than other EU members have done. “You are a brave people, who are not afraid to fight, on our side, for the truth. The Czech Republic is a true friend of the Jewish people and the State of Israel,” Akunis said. “The statement done by the Ministry of Foreign Affairs of the Czech Republic is definitely not an act of support to the United States’ administration decision,” Mogherini said. “I spoke myself yesterday morning with the Foreign Minister of the Czech Republic [Lubomír Zaorálek]. He guaranteed to me that the Czech Republic stays firmly with the common European Union consolidated position on Jerusalem being the capital of the future State of Palestine, meaning two states with Jerusalem as the capital of both along 1967 lines. Which is explicitly referred to in the statement by the Czech Foreign Ministry. And if I do not remember wrong, the statement also refers to the need to have negotiations,” Mogherini said.